You might remember that I had a talk with poor old Scunner the Grumpy Elf. We found out that he might be allergic to Christmas. I was trying to think of a new job that he could do. Ah yes, I decided that perhaps he could help with the reindeer! ‘Scunner, you like animals don’t you?’ I asked him yesterday. He smiled and nodded his head. I smiled at this. It seems that Scunner and his dog are very alike. ‘Och no, none at all.’ He chuckled. Scunner whooped with joy and jumped up from his chair. He spun around with excitement. I knew that I had maybe hit on something. Scunner stopped spinning and looked at me. He was swaying around a little as though he was dizzy. I looked at him because sometimes people can forget that taking care of animals can be a big job. ‘Santa, I will look after them very well – I promise.’ He said and by the tone of his voice I believed him. So, Scunner is trying his first new job soon. I hope it works out but if it doesn’t you have given me some great ideas. P.S. Do you have a pet to look after? What do you do to make sure it is happy and well? You can click here to tell me or, scroll down to see what other people have written! santa, i cannot find you friend please come to save me now friend! My dog Teddy is 6 years old and still acts like a puppy. I love him so much. Is going to my house. find a car santa can drive it go were the elf is and boom! santa i really want a yorkie for christmas two a girl and a boy i hope i can get one. I have a little kitten named Alex who always misbehaves!!! He claws on our expensive couch, he likes biting people alot(and i mean alot! ), and he like drinking water from our cups by dipping his paw in, and then licks it up from his paws. I don’t know what to do. my dogs name is max. I walk him, most of the time and I like to play with him a lot! merry chrismas i love you. love, Ella!!!!!!!!!! hi santa did yuou get my letter yet? the elves are really cute. try to write a letter to me tommorow if not you can do it some other time before cristmas. where going to get you cookies and milk and cheese for santa mouse on cristmas. 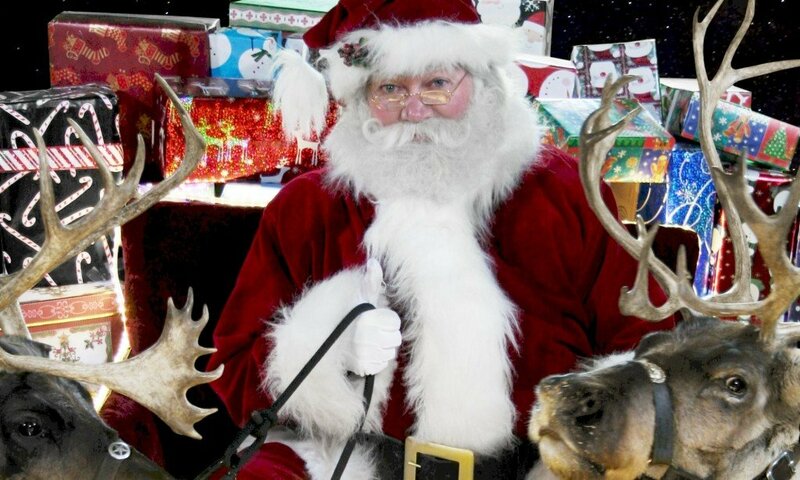 Hi santa we love you so much that we would come all the way up there just to give you a hug and tell the raindeer and Mrs.Clause Merry Christmas!!! Have a Merry Merry Christmas!! i have three doge and one cat i keep them well and happy by making sure they have enough water to drink and enough food to eat.and i make sure i bring one dog each day!then affter i give them treats if they were good!and they always do good!then zazoo i give him lots of food and water!and i let him outside at the right time.but we still have a litter box so he can come in on winter days and do his bissnass in the litter box i love all my pets!!! !they are alll sooooo funny! !they are the best!!!!!!! I have a one dog and his name is cosmo and I really loe him for a pet. I think you should make clumsy the elf a scout elf, and should go to someones house and keep an eye out on them!!! my dog is called prince but i have another one called sasha who had an opperation now i have to hlp her drink and prince he’s good some times and so cute and sasha but prince he’s so active he never run’s out of energy. I will help Scunner give him 2 cookies I leave for you. I bet Scunner just has never had a gift before. SANTA just get him the best gift of all time for Christmas. I mean no elf can be Christmas free.p.s. but if he is he should get a job as a toy maker at a store. I use to have a dog named Sally. She died a few years back. I miss her a lot. But she is now living in heaven with my Grandfather that she loved. I can’t wait to see her one day when I go live with Jesus too. I have 6 cats. I help by feeding them in the morning when I get up. then when I go to bed I also feed them. i check on my bunnys evry day. the first time i feed them . the second time i clean there cage and the third time i play and cuddle with them . I have two pets to look after! My yorkshiere terrior,Willy,and my cat,Penguin! Willy’s really timid,and hides under couches and chairs whenever somebody comes near him,and Penguin is always staring at me,and headbutting me.But I love them. Santa,when you visit my house,could you bring some presents for them? Willy likes cat food,and Penguin likes bells! Hi Santa!!! Well in this letter I will tell you about my pets. I have lots of pets and my family is thinking about getting one more after I leave my grandparents house!!!! Well I have a dog,Carter,(we are thinking about getting a yorkie. )2 cats,Lolly and Noodle,1 frog,Sassy,3 fish,Goldie and Spot and my sisters fish I have no idea what his name is,and 1 hermit crab, Hermie or Purple Pincher(Pincher). So you can see I have lots of pets to take care of!!! Icould help Scunner the grumpy elf.I have a very bad cold I had it sense yesturday morning.I have Gwindor Morweena faries faries in my pot at home my Grandma and Grammpa have fairies at there house.Those are all the magic thins oooooh I forgot there is one more.I have fairys in my school. i have 3 hamsters, 2 fish and 1 cat. They can be a bit of a handful but they are awesome. I do have a pet to look after its name is chloe shes a girl and i believe her favorite holiday is christmas because you come.I bet she loves you the most because you leave her toys and you help other kids that dont have toys. I have a hamster.Her name is Snow flake.You have to clean her habbitat,feed her,give her fresh water,play with her and all sorts of stuff.But i still love her. I take crae of Dunbar by getting in and fulling the dogfood bolle. Also I might say that me and Scunner have one big thing I commen like he likes animals so do I! I love animals too! I love kittins more, I love thier “mew” and how there eyes sparkle! i have 3 cats1 rabbit and 1 dog lilly ( cat) handicapped shes hops like my rabbit and titan ( dog ) he eats the cat litter gross! I feed my fish every morning and toss in some algae wafers for my algae-eating Pleco, and I try to get out and play with my Siberian Husky as much as possible. I think Scunner will like the job. If the job doesn’t work for him you could probbaly try having him help Mrs. Claus cook. I feed my dog Allie, and I love her! THANK YOU FOR USING MY IDEA!!! I have 2 dogs and 4 cats!! Previous PostPrevious Is this the end of Scunner?